Sylvia Taylor-Stein is an artist and songwriter who has a special gift for poetry. She wrote her first poem when she was 8, and continued to write through her years in school and college. 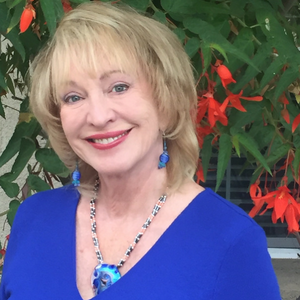 Sylvia’s great love for heroes and heroines in the Bible started when she was 5 years old, sitting at her Grandma Lottie’s kitchen table in her Smoky Mountain home and listening to her graphic and fascinating storytelling of Bible stories. It was her Grandma that instilled in her a love for the heroes and heroines of the Bible. 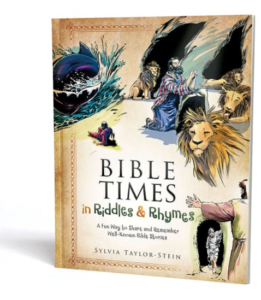 Sylvia never forgot the Bible stories her Grandma taught her, and it is this legacy her Grandma left her that led to the creation of Bible Times in Riddles & Rhymes. Sylvia and her husband, Marc, live in Southern California and have five children and three grandchildren. Wilson Gandolpho, Illustrator, lives in São Paulo, Brazil, where he works for large media outlets producing daily comic strips with his characters. He recently embarked on an international journey with the goal of expanding his work and reaching challenges beyond local boundaries. It was this goal that made him apply for the illustrator position for Bible Times in Riddles & Rhymes. Wilson says, “When I saw the ad, I never believed I would get the job, but the requirement to know the Bible caught my attention and I think God made me apply. It was clear that this work was not something common. I had never done a job at this level of art and with this amount of scenes. Studying the Bible to draw the scenes also made me evolve in the Scriptures. I have realized that the Lord has been by my side, testing me, teaching me, and preparing me for the future He has for me. I am deeply grateful for the opportunity I was given to illustrate Bible Time in Riddles & Rhymes.